Develop a strong foundation of power, force and basketball explosiveness with these simple strength-building movements. To help with this, I asked Marc Tangeman, CSCS, the Director of Sports Performance here at Going Vertical (Omaha, NE) to provide FIVE key exercises that you should be doing with your players to build more functional strength and basketball explosiveness this off season. Here’s what he shared. Many of the basketball athletes we see are so focused, maybe better described as desperate, to dramatically increase their vertical, as well as developing a quicker more explosive first step. However, they rarely have the basic strength training fundamentals and specialized training concepts to take the next step in the weight room. 1. We begin with building foundational strength and working functional movements. 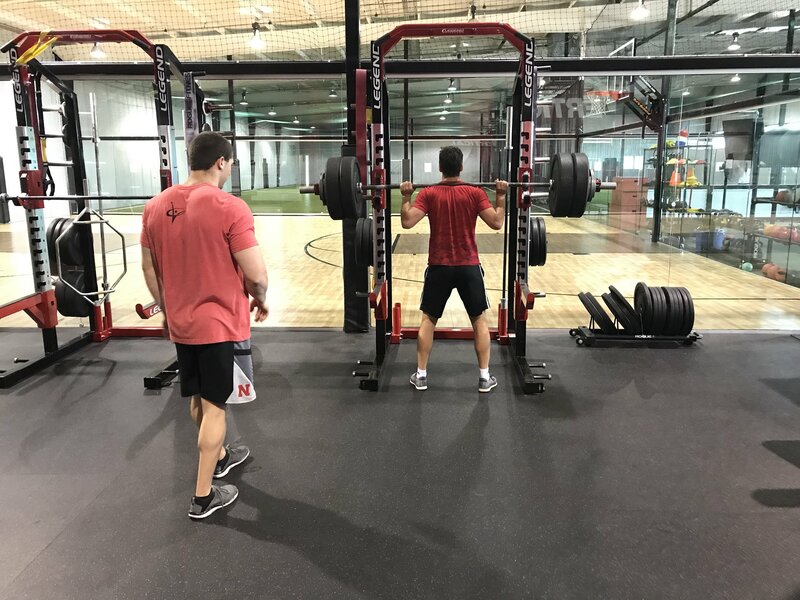 In our program, we consistently run through both front and back squat variations with barbells, working correct biomechanical movements including depth. 2. Once good technique has been established, and the athlete can get through the movement correctly, I often transition them into jump squats, either from a back squat or hang clean position. These critical movements give athletes an advantage by working explosiveness off the ground with resistance, as well as focusing on their takeoff and landing positions – key elements in the movement. 3. Next we transition from the strength training regimen to our plyometric/speed/agility training. A very basic but important exercise I incorporate into our programs is hurdle hops (often increasing height through the rounds). Emphasis is again on take offs and landings. As athletes become more familiar and consistent with the movement, I begin to incorporate dumbbells, forcing them to resist the ground as well as the extra weight in their hands. 4. The most consistent plyometric exercise we run are depth jumps, or a close variation of it. By incorporating depth jumps, athletes are being taught the vital lesson of balance on the court as well as in the weight room, and how that balance plays a part in their vertical/explosive power. 5. Lastly, we have ice skaters. Without moving forward, athletes jump laterally as high and as far as they can, landing on the outside leg only. Once they have absorbed the blow from the landing, they transition that into a lateral bound off the same leg. The next progression would be adding in a single leg hop on each side after the athlete learns to land correctly. These drills, performed consistently over time, will increase a player’s basketball explosiveness, making them a more dangerous player on the court no matter what position they play. If you have any questions, or would like to receive more information on our programming, feel free to contact me at marc@goingverticalomaha.com. 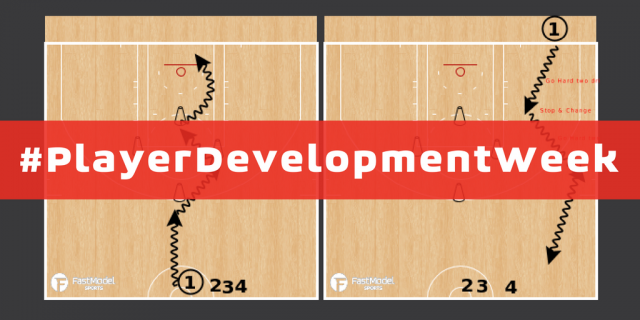 Click to check out more #PlayerDevelopmentWeek content!